Tax-free deals are not just for back-to-school. There’s no reason you can’t use Tax Free Weekend 2018 to stock up for your business! It doesn’t matter if that planner is going to be for classes or for clients–supplies are supplies. 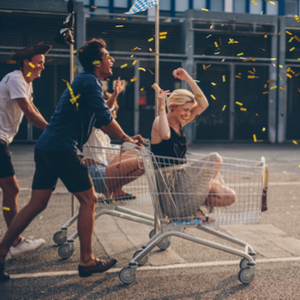 To help you figure out what you might want to stock up on and when, we prepared a quick guide to help you get the most out of Tax Free Weekend 2018. Each year, several states across the country participate in the annual Tax Free Weekend, which features tons of back to school sales on items purchased without any local or state sales tax. It’s come to be a kind of holiday weekend, and one known for saving shoppers millions of dollars. This sale only happens once a year, so don’t want to miss the opportunity to rack up these tax-free purchases. 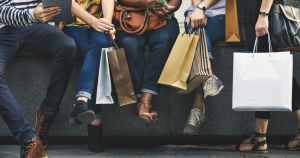 Now that you know when your state (or a neighboring state, it’s not like you’ll get carded) is having its tax holiday weekend, let’s get down to the nitty-gritty of what items are considered tax-free. Of course, each state has their individual restrictions, but here is the big tax-free master list of items you can fill your shopping cart with. Whether you are looking for supplies for your small business or stocking up on things for home and/or back-to-school, there are tons of deals you can take advantage of during tax-free weekend. Depending on your type of business or what you are looking for, you can save a few bucks on these items. School supplies, including, but not limited to, pens, pencils, paper, binders, notebooks, books, blue books, book bags, lunchboxes, musical instruments (but only if the musical instrument is used in the classroom or at home in relation to school assignments). Note: Items such as refrigerators, toiletries, bicycles, and food purchased by college students are not school supplies and not exempt from the tax. Sports clothing and uniforms, but not equipment such as mitts, helmets, and pads. Towels of all types and sizes, including bath, beach, kitchen and sports towels. Paper towels are taxable. See?! We knew you wouldn’t want to miss out on these great tax-free weekend deals! As you continue to tackle the busy season for your business and enjoy the perks of summer, be sure to catch these awesome tax-free weekend 2018 sales! Don’t forget to save those receipts and report these purchases when filing taxes for your business using TaxBandits. Our simplified filing process helps you generate and e-file a variety of tax forms, including Form 941, 1099s, W-2s, ACA Forms, and more. Create your free account today and shop till you drop!